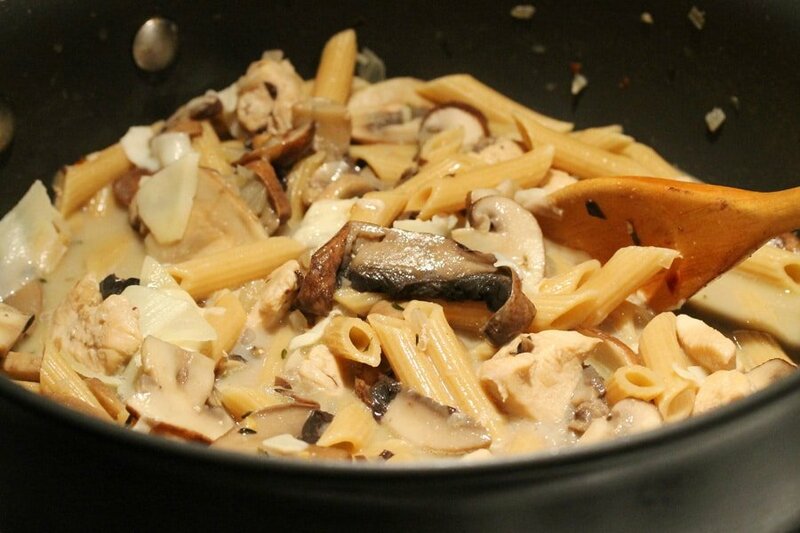 An easy dinner ready in 30 minutes. One-skillet meals are the best because you just keep adding ingredients to a single pan, stir, cook, stir again and before you know it, dinner is ready. 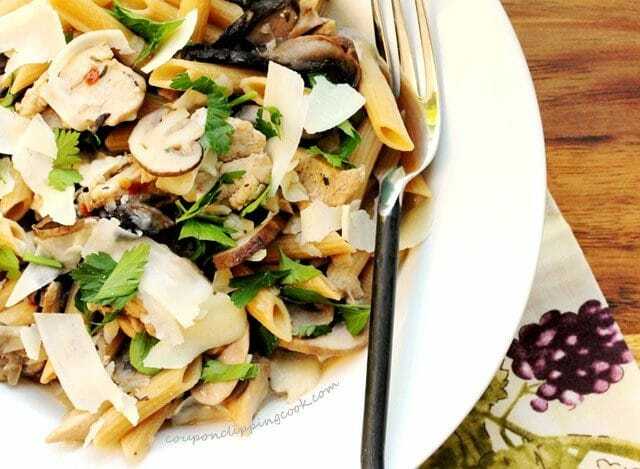 They’re great for weeknight meals because generally one-skillet dishes are quick and easy to make and have just one pan to wash which is a definite plus after a busy day. 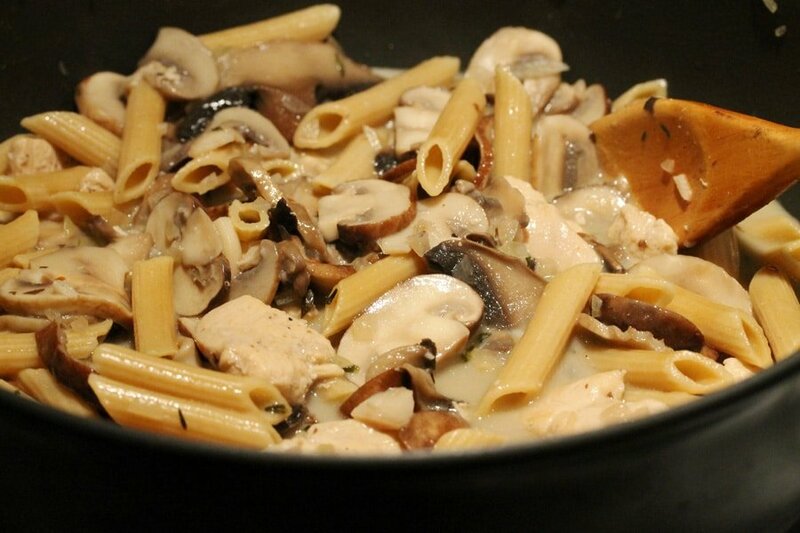 In this pasta dish, there is chicken and 3 types of mushrooms (crimini, white and portobello). 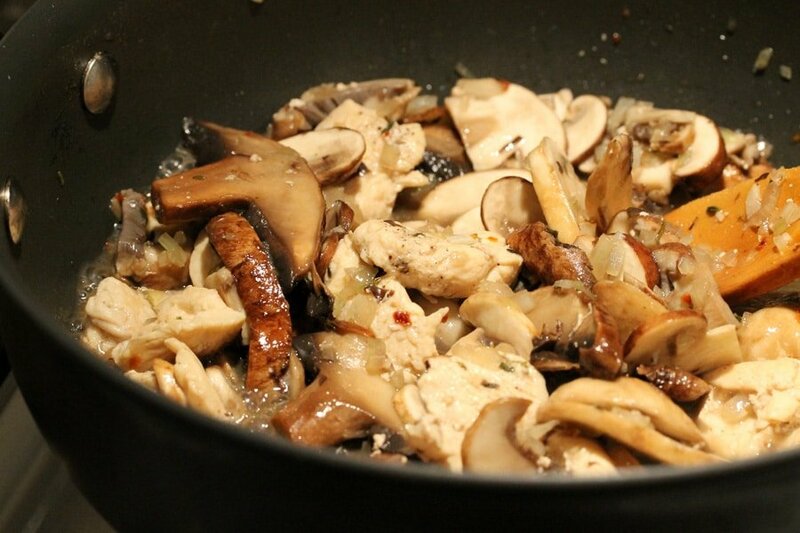 And because both chicken and mushrooms go so well with white wine and butter, they’re added to the mix too. 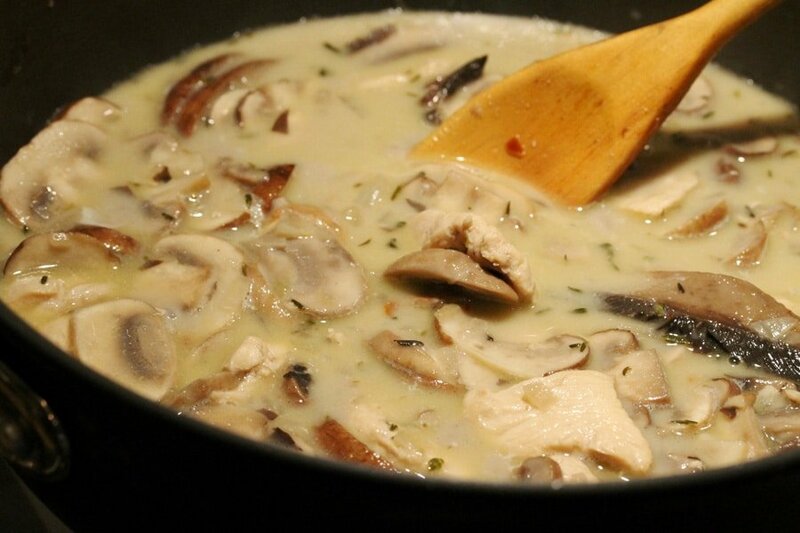 In addition to the butter and white wine, half and half and chicken broth is added which makes a really nice light sauce. 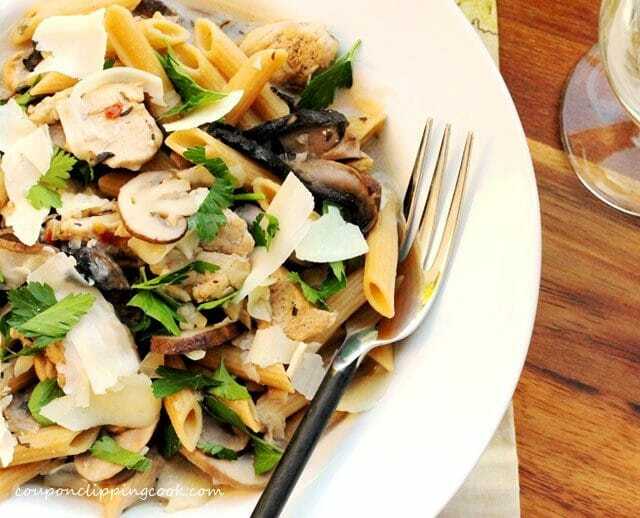 Topped off with shaved Romano or Parmesan cheese, this pasta dish is a hearty meal full of flavor and texture. 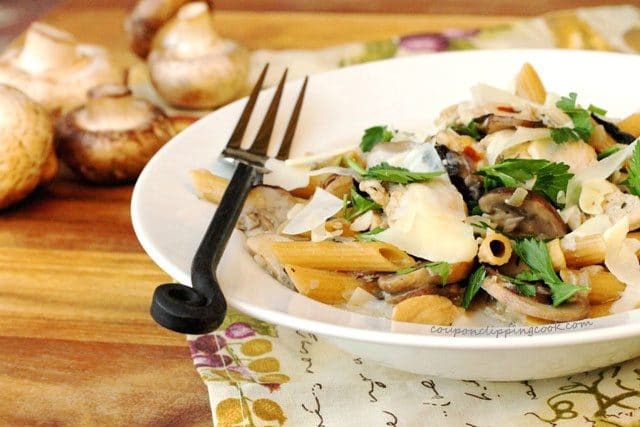 In this recipe I used whole wheat penne which adds to the richness of the dish but regular penne tastes wonderful too. 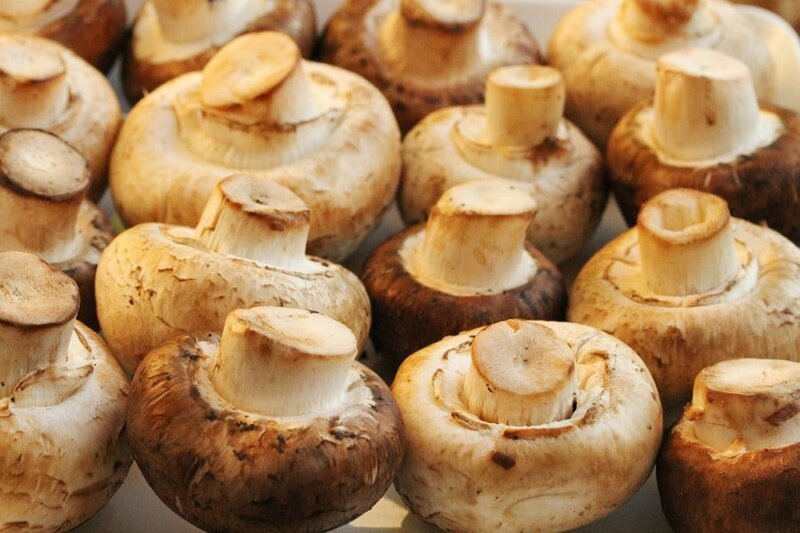 In a medium size pot, bring water to a boil and add salt. and cook until al dente (according to package instructions). 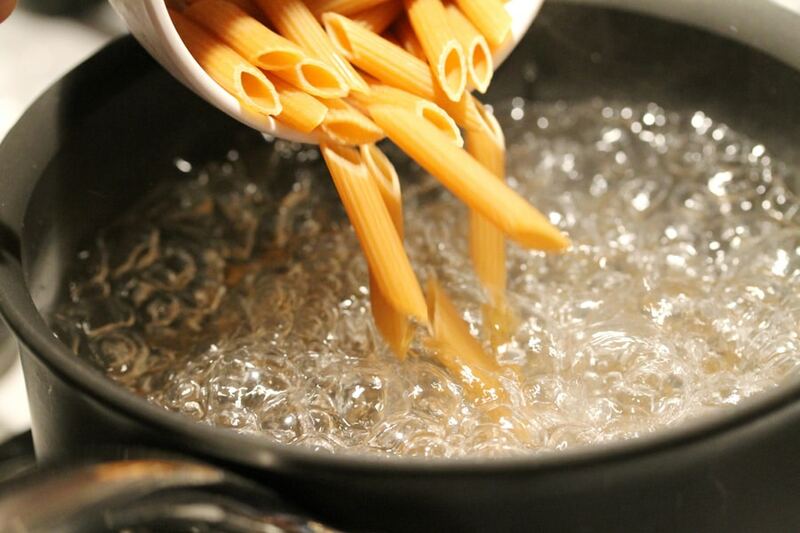 Then drain the pasta (but don’t rinse it). Set aside. …about ¼ of an inch thick. 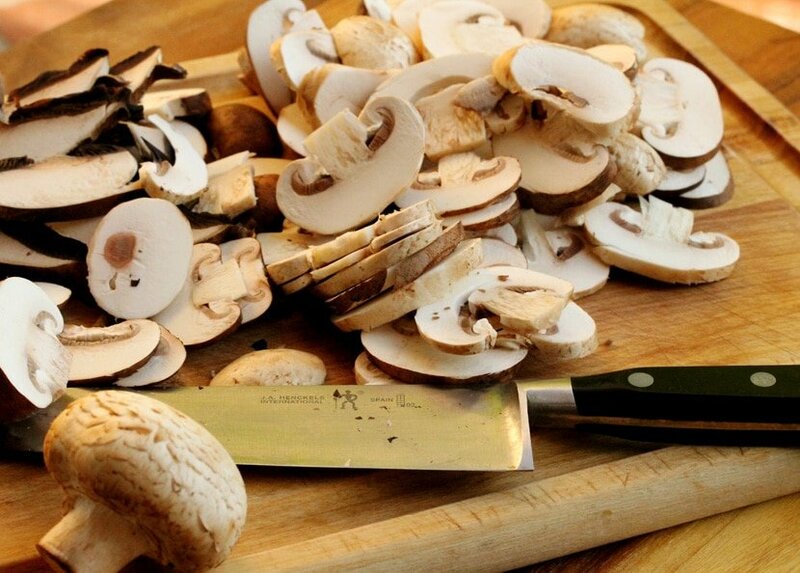 Set the mushrooms aside. Dice the onion and set aside. 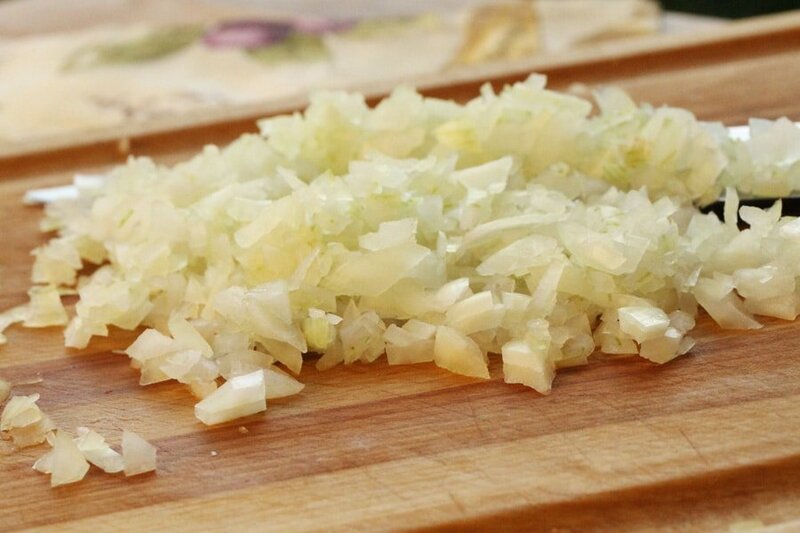 Then dice the garlic and set aside. 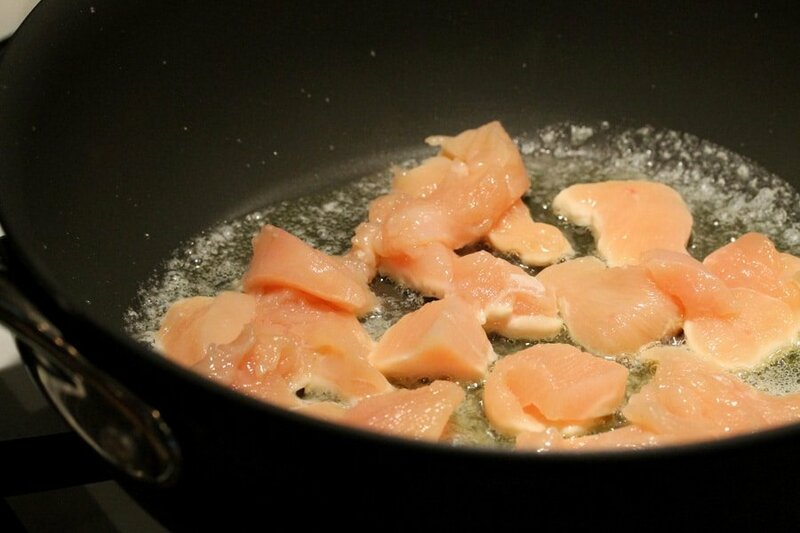 Next, on a plate or cutting board specifically for raw meat, cut the chicken into bite size pieces. 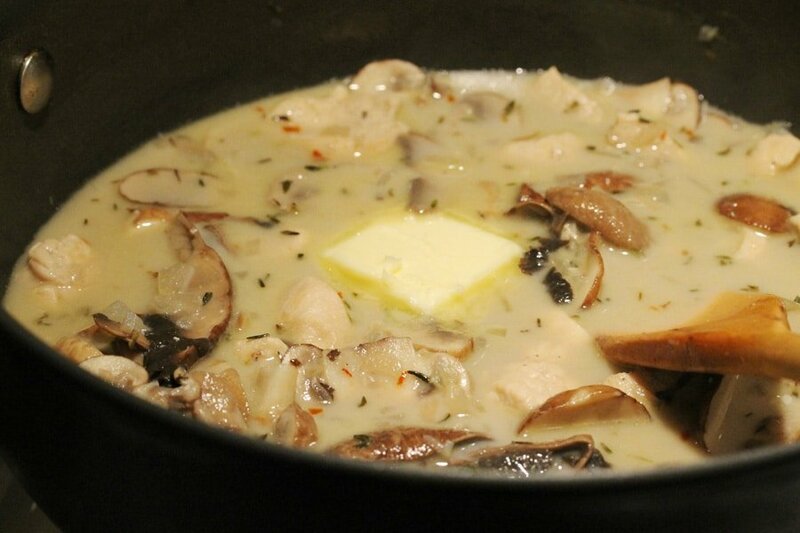 Heat a large skillet on medium heat and add 2 tablespoons butter (reserving 1 tablespoon). 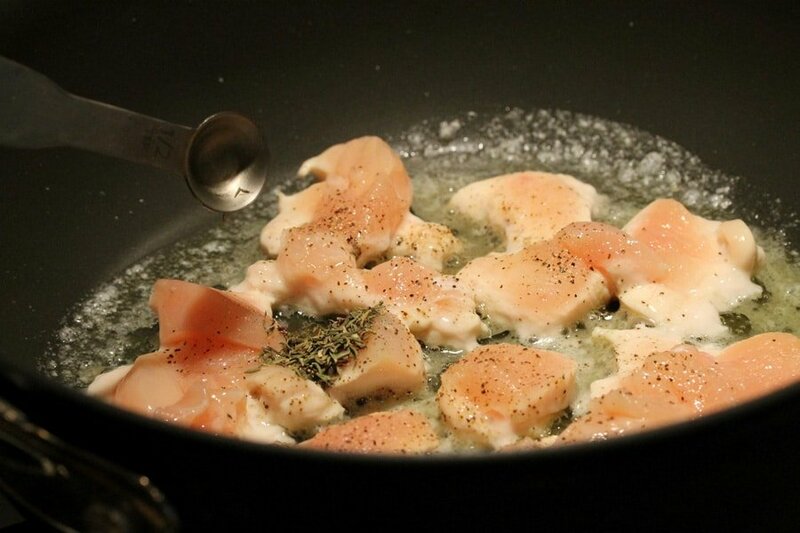 Add 2 tablespoons of olive oil to the skillet (reserving 1 tablespoon). 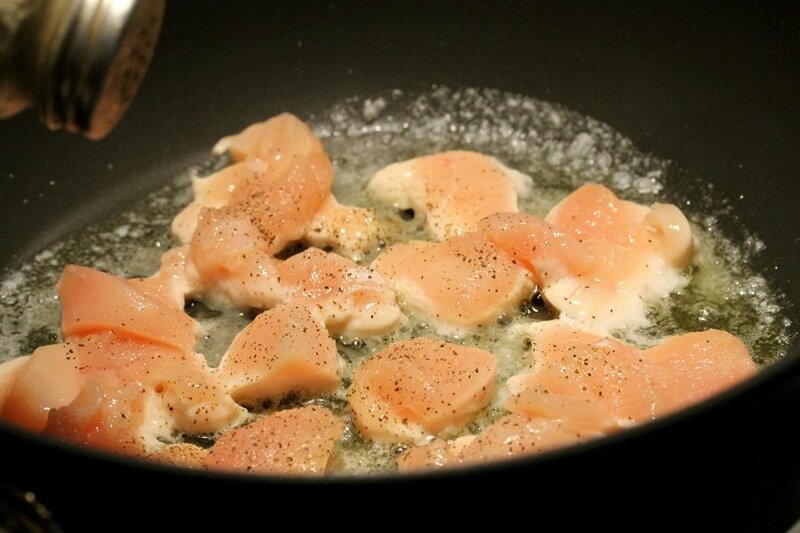 Next, add the chicken to the skillet. 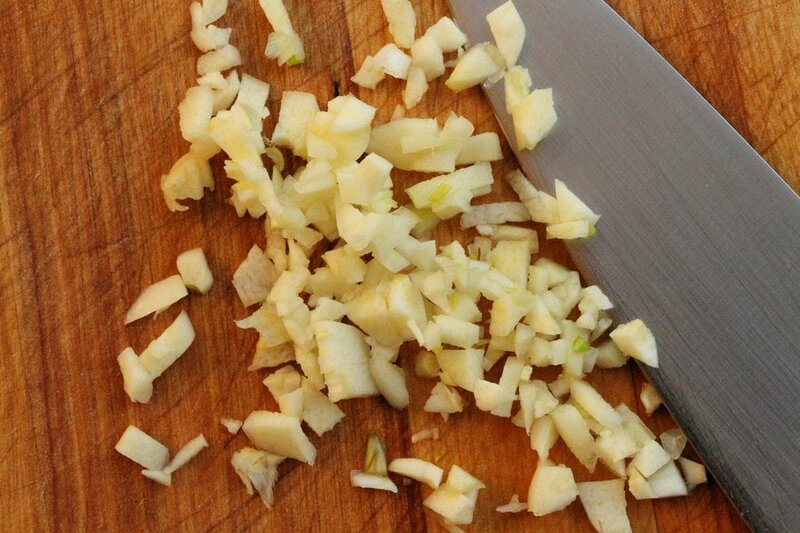 …garlic and the red pepper flakes. Then stir together. 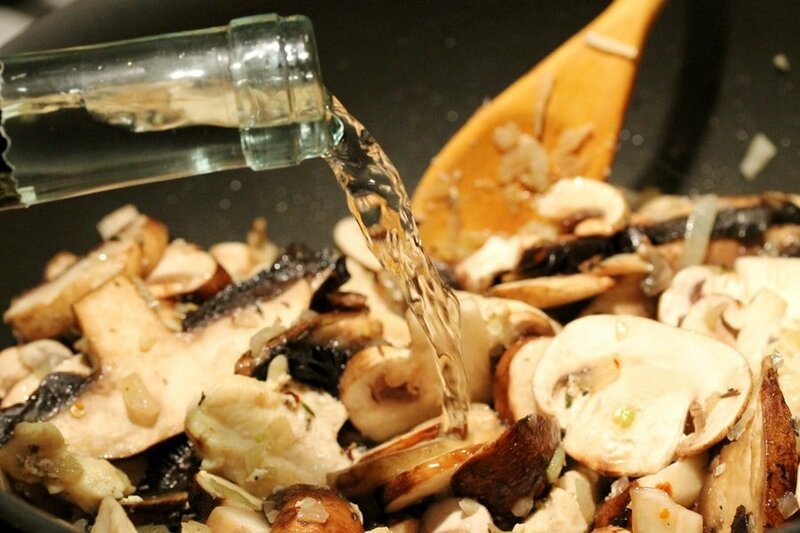 Drizzle the remaining olive oil over the mushrooms. 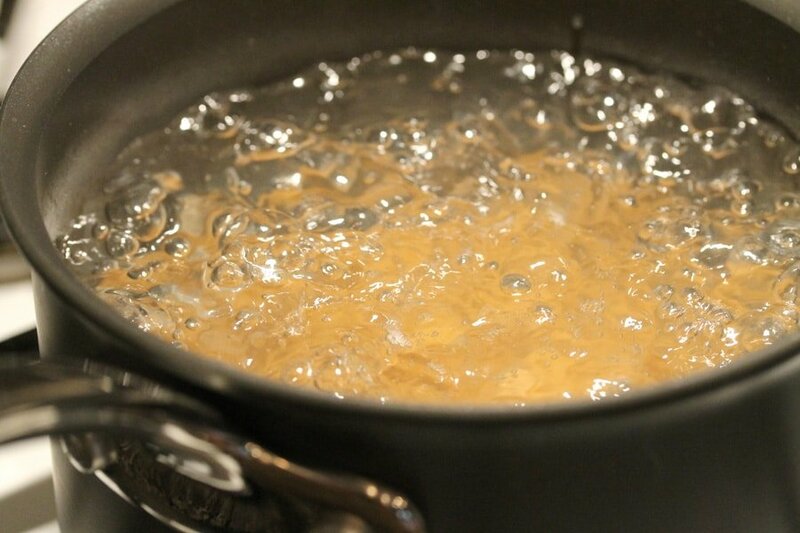 Let the liquid come to a slight boil for about 5 minutes and continue stirring while the liquid reduces a little. Turn the heat down to a simmer and add the half and half. If you would like this more on the creamy side, add a bit more half and half. 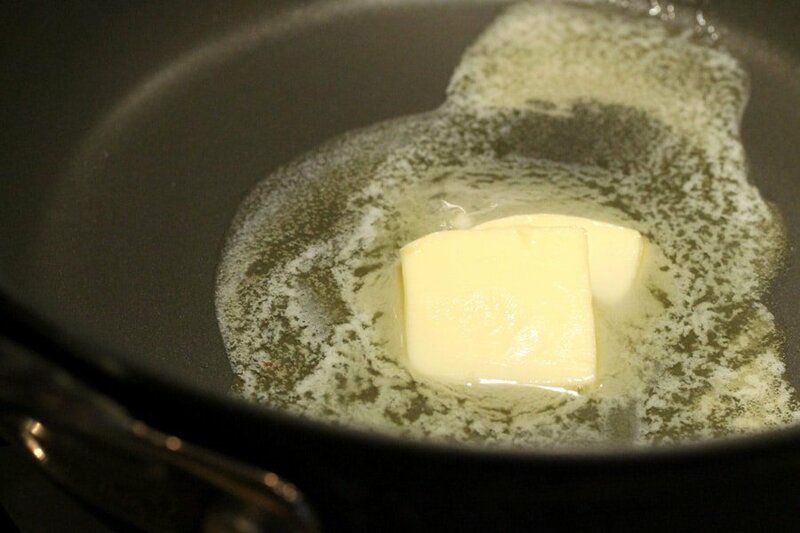 Then add the remaining butter. Next, add the salt and stir. 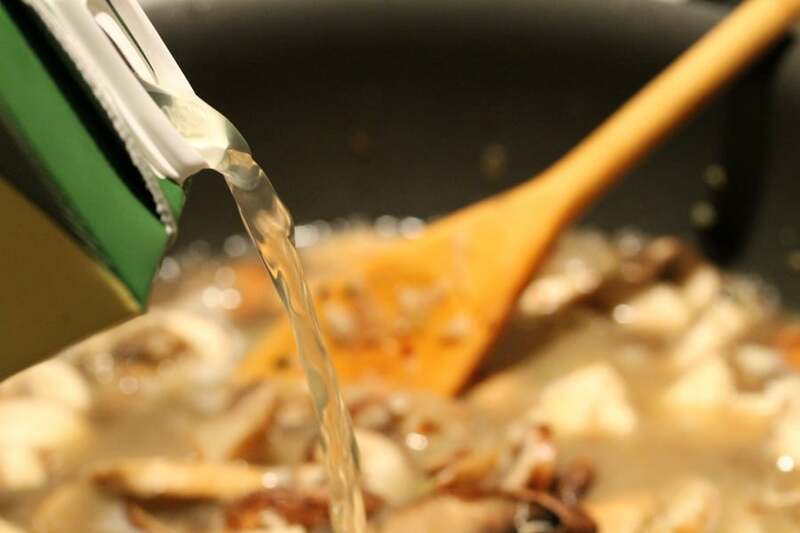 Stir all of the ingredients. 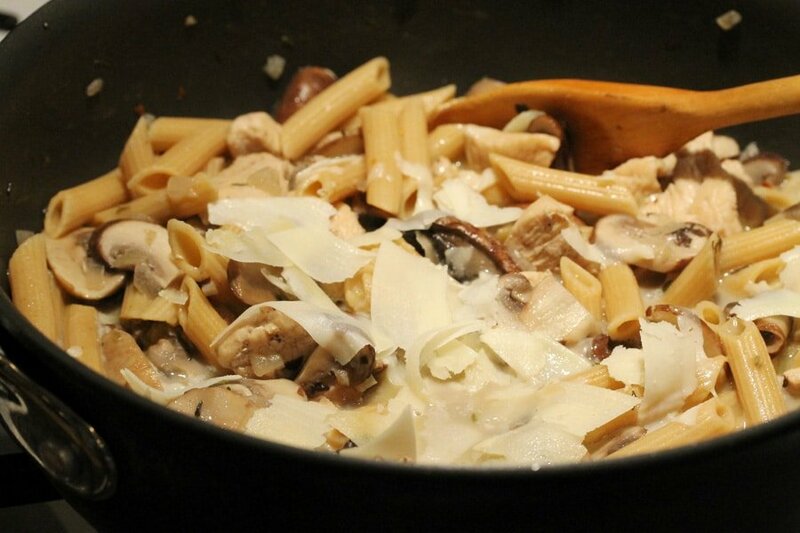 Add ¼ cup of the shaved Romano or Parmesan cheese reserving the rest for garnish. and top with the remaining shaved Romano or Parmesan cheese and chopped parsley. 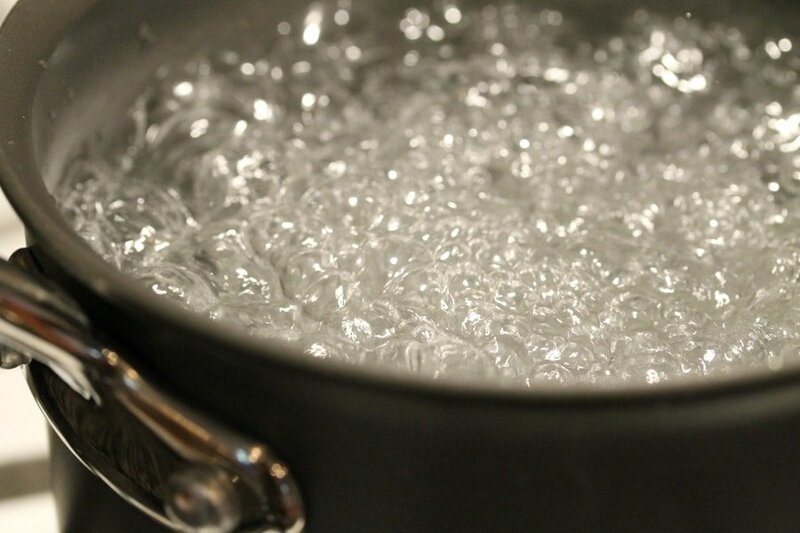 In a medium size pot, bring water to a boil and add salt. 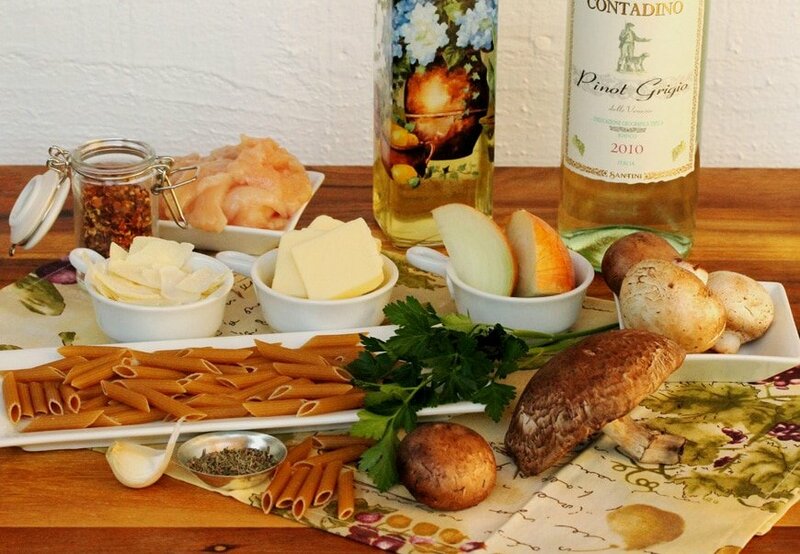 Add the pasta and cook until al dente (according to package instructions). 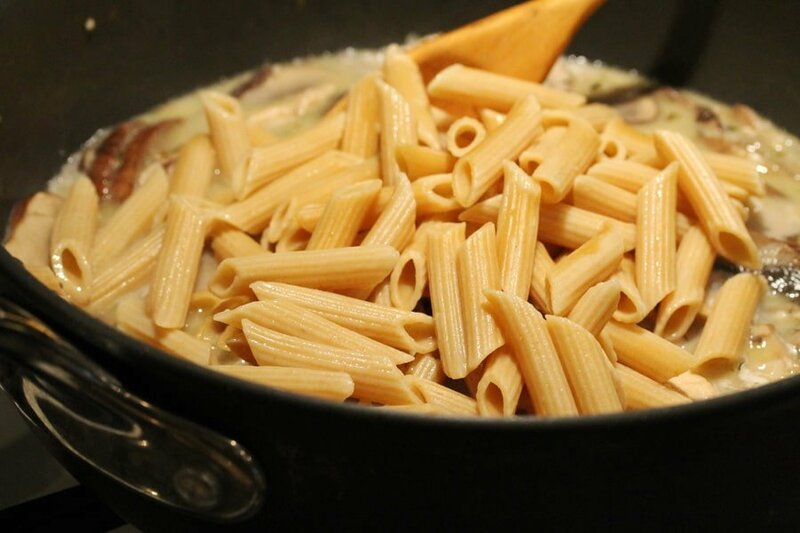 Then drain the pasta (but don't rinse it). Set aside. 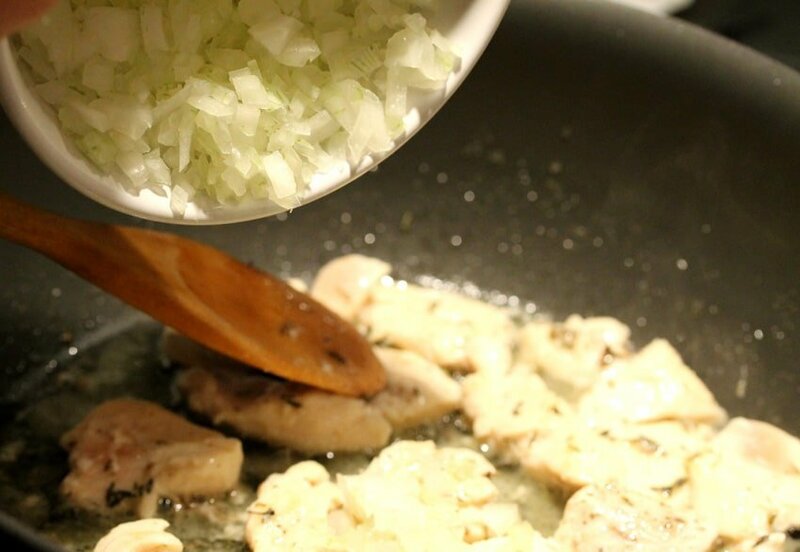 For the Chicken - Heat a large skillet on medium heat and add 2 tablespoons butter (reserving 1 tablespoon). 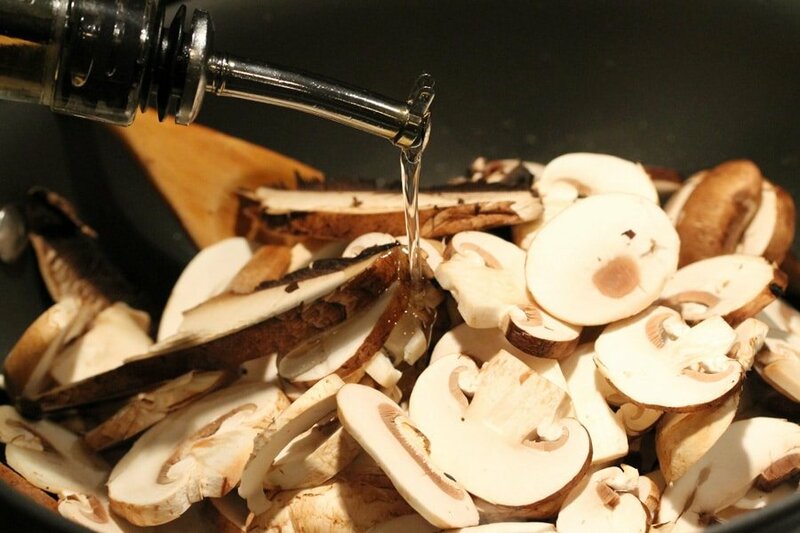 Add 2 tablespoons of olive oil to the skillet (reserving 1 tablespoon). 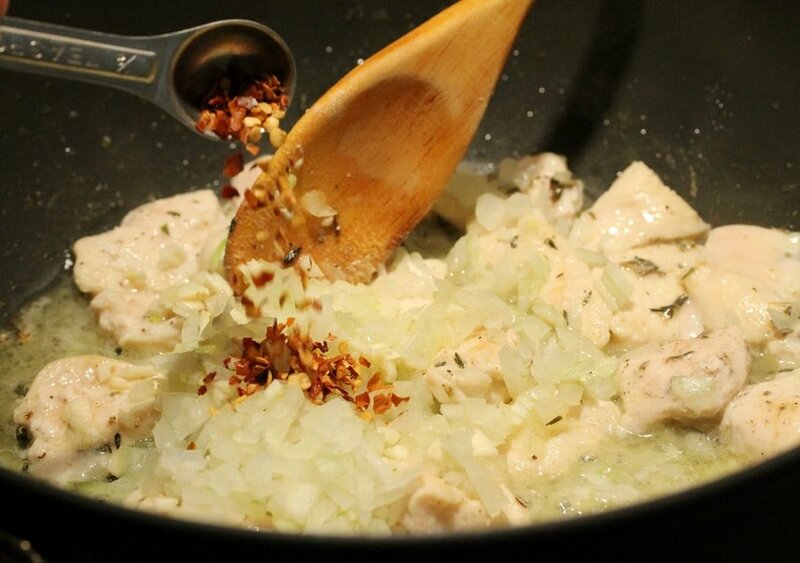 To the pan, add the chicken, pepper, thyme, onions, garlic, and red pepper flakes. Stir together. 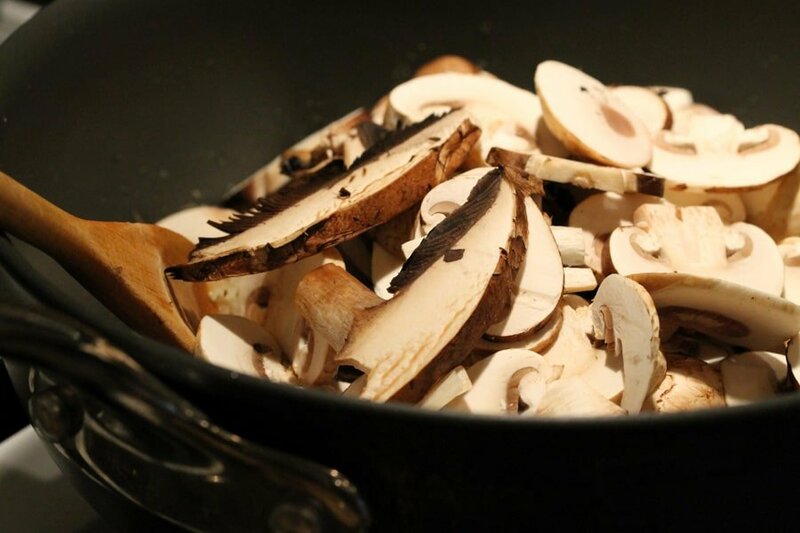 For the Mushrooms - To the pan, add the mushrooms. 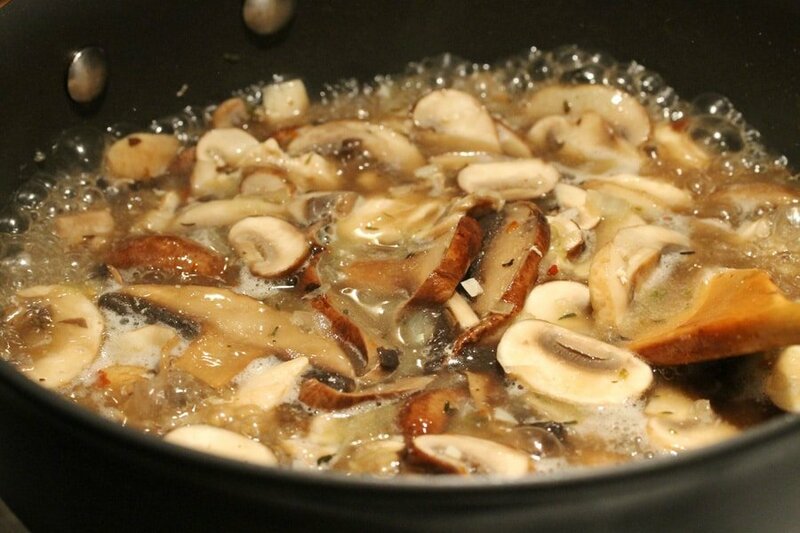 Drizzle the remaining olive oil over the mushrooms and stir. Add the wine and chicken broth. Let the liquid come to a slight boil for about 5 minutes and continue stirring while the liquid reduces a little. 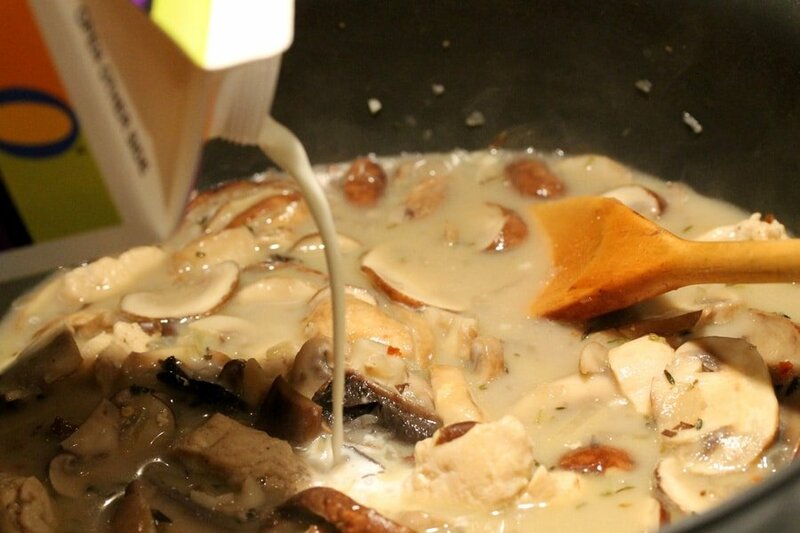 Turn the heat down to a simmer and add the half and half. 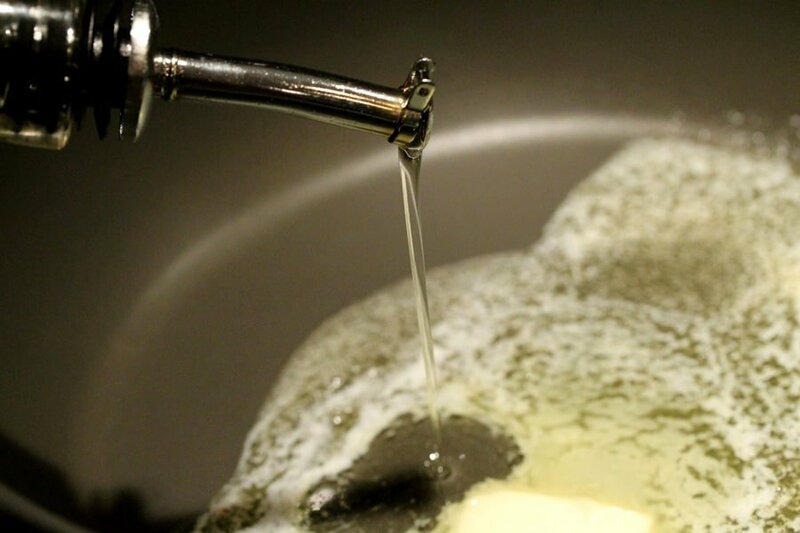 Then add the remaining butter and the salt. Stir. To the pan add the pasta and stir. 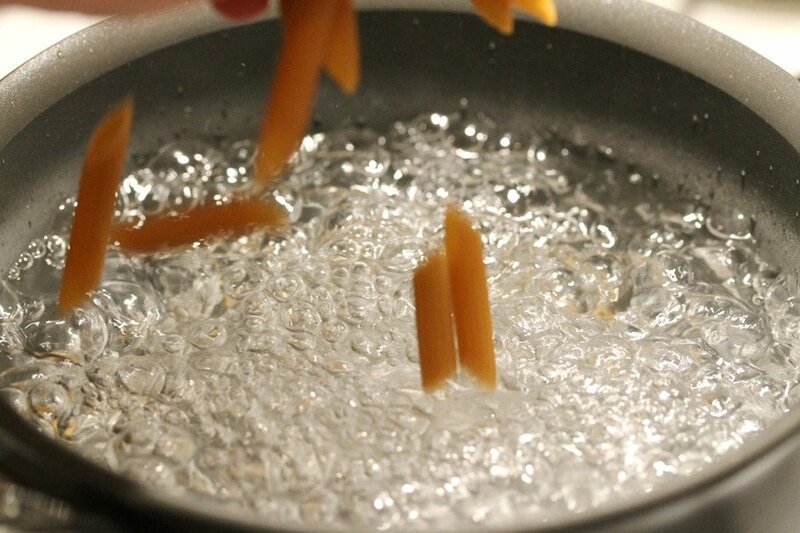 Stir in ¼ cup of the shaved Romano or Parmesan cheese reserving the rest for garnish. 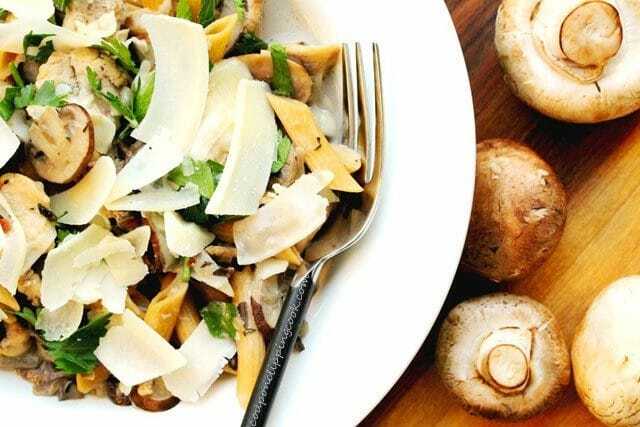 Serve while warm in shallow bowls and top with the remaining shaved Romano or Parmesan cheese and the chopped parsley. 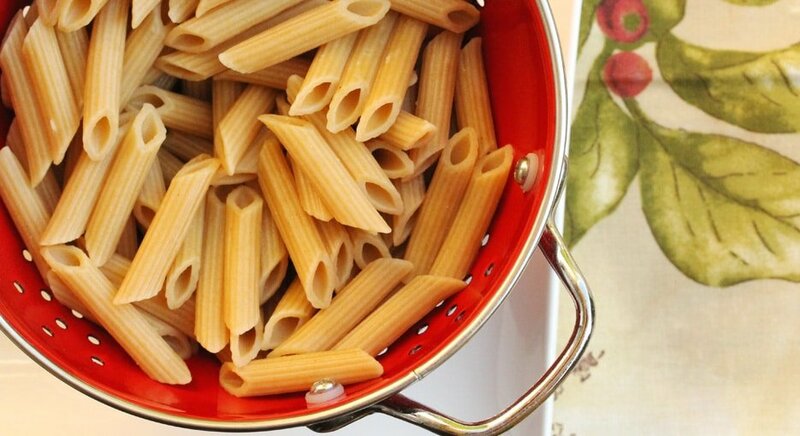 this pasta surely looks delicious and mouth watering! This would be one of my menu this coming new year eve. Oh I’m happy to finally find ur blog! I have problem with English as it’s not my first language, and ur post is so simple, easy and straight to the point! 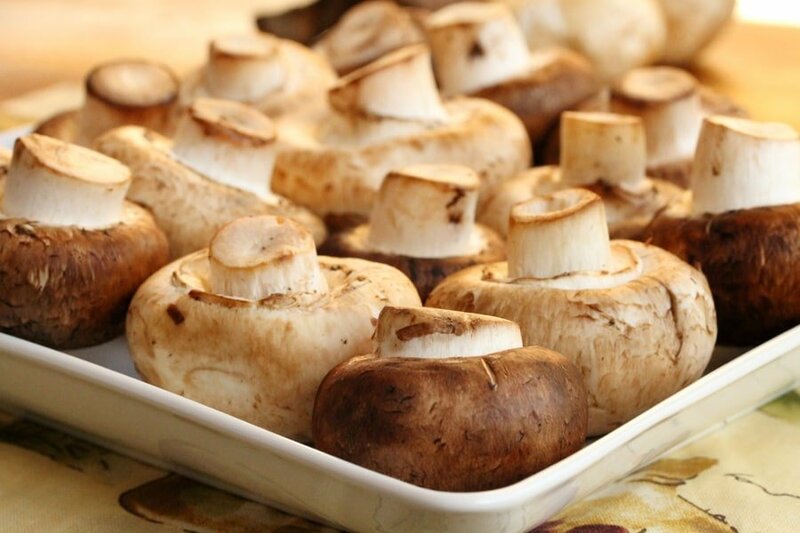 I love that step by step with the pics, and this recipe is a must try! 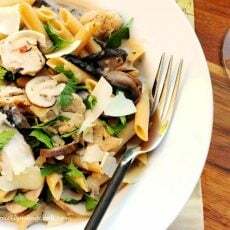 pasta is one of my fave dish! Hi Endy, thank you for stopping by. Let me know if you have any questions on any of the posts. Hi Kimby, thank you very much. Happy New Year to you!